Automatic segmentation of biological images is necessary to allow faster diagnosis of several diseases. There are numerous methods addressing this problem, yet any general solution has been proposed. Probably it might result from the lacking standardization in tissue staining by hematoxylin and eosin, which is necessary to better visualize cell structure. The colour space normalization seems to be a perfect solution, but choosing adequate parameters is still a difficult task. Therefore, in this work, a Monte Carlo Simulation method is applied to search for a set of parameters assuring the best performance of colour transfer normalization technique. The segmentation accuracy is evaluated for each parameter set on a dataset containing colon tissue. Three accuracy metrics are computed to compare manually prepared masks with those achieved automatically: the Dice coefficient, specificity, and sensitivity. The analysis of the aggregated results proved that it is possible to find a sub-space where the worst results are placed, and depending on the accuracy measure it is possible to find a plane dividing those results. 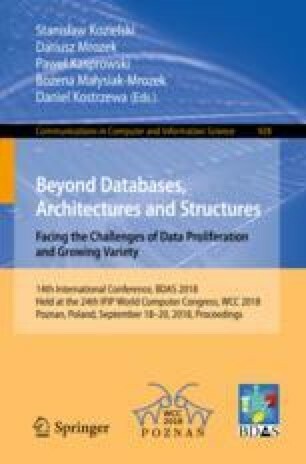 This work was supported by statutory fonds (02/020/BK_18/0128) and statutory funds for young researchers (BKM-509/RAU2/2017) of the Institute of Informatics, Silesian University of Technology, Poland.